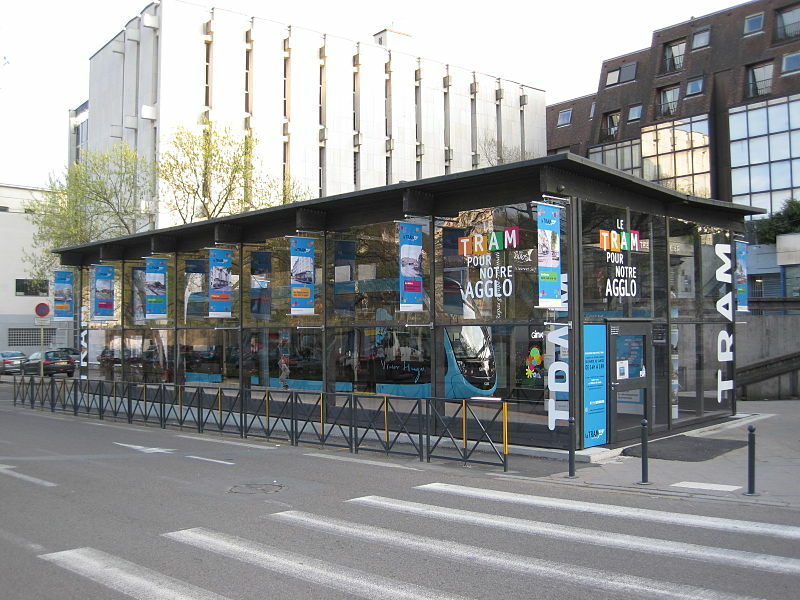 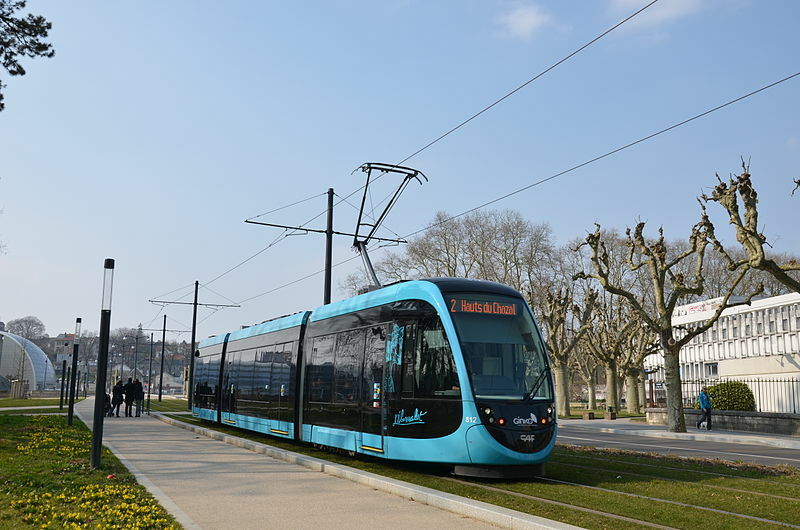 Besancon had an electric tram network from 1894 to 1952, closed due to the World War II damages and the post-war transit policies. 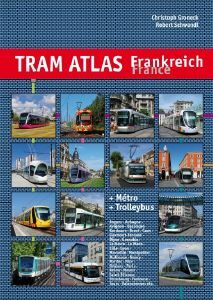 In 2008-2010, a new tram line was planned after years of strong debates; the track was selected among many possible alternatives and the classic tram technology was preferred to high efficiency modern buses. 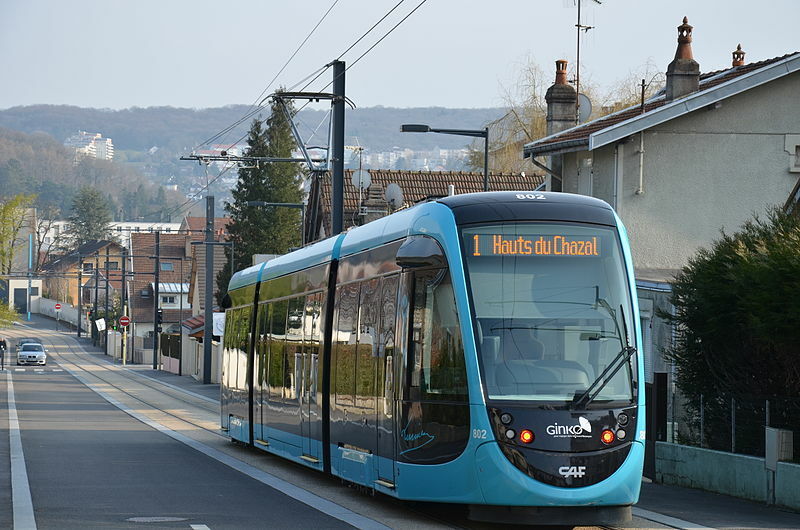 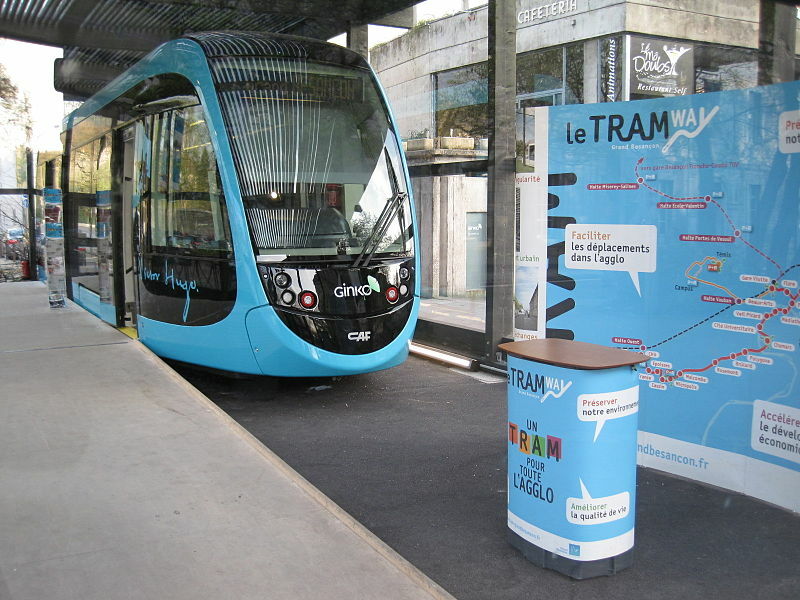 The new tram route opened in 2014; it runs from Hauts-du-Chazal to Chalezeule, with an intermediate short branch to Gare Viotte (1 tramcar every 2 diverges to Gare Viotte); the track serves the universitary hospital (CHU Minjoz), Planoise, Micropolis parking/interchange facility, Grette-Brulard area, the city centre, Gare Viotte, place Flore and quartier des Chaprais, Les Vaites, Palente/Orchamps area and its interchange pole, ZAC Marnieres and Chalezeule. 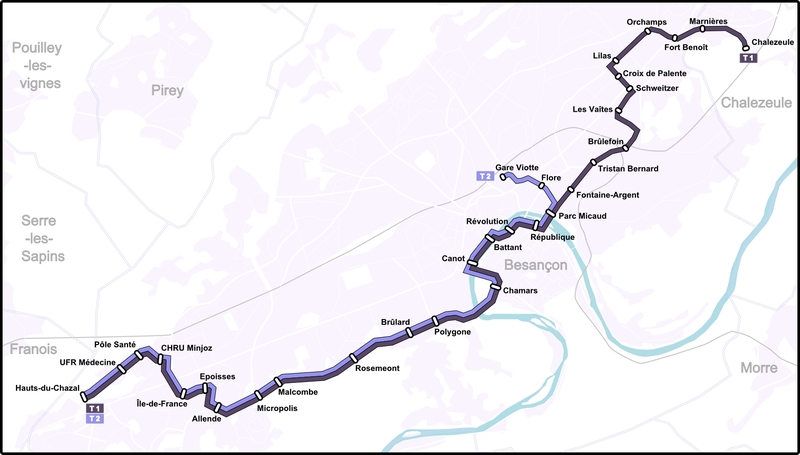 The line is mostly in reserved lanes (with the exception of Canot-Revolution and Parc Micaud-Brulefoin sections, both in road traffic), with a short single way segment (Croix de la palente-Lilas).